I was the first kid on my block to get a skateboard. An older kid that lived across the street gave it to me. I think I was around 9. I didn’t know if he thought I was cool and different-hence deserving of something cool that he no longer needed. Or maybe he felt bad for me because I was a pudgy little runt that also had the misfortune of having to wear an eye patch-hence deserving of something cool that he could mentally write off as a good deed (he was kind of a delinquent). But skateboarding was what I wanted to do. Most of my friends and my brother’s friends were super athletic; they played baseball, basketball, or football and of course all of them were amazing athletes. I loved those activities a lot too, but not nearly as much as they did. For some reason I felt that those sports required years of practice and … talent. And I was too impulsive to want to practice anything and talent wasn’t a think that I had. But skateboarding was different. And it was a good reason to force my parents to buy me high top Converse All-Stars. You couldn’t have a skateboard without a pair of high top Converse All-Stars. Not in the late 80s anyway. The board was called “Bone Crusher” and it was bright purple. It had a purple tail bone and black rails. And it was huge in comparison to today’s standards. But I loved it. I must’ve fumbled around on that behemoth for a week before I decided that it wasn’t working. It was too cheap. It was too heavy. It wasn’t named after a pro skater. And all of those important facts made it impossible for anyone to ollie on. (I was convinced that even Natas Kaupas wouldn’t be able to make Bone Crusher airborne). And I mean, really, if a board wasn’t good enough to ollie on, what was it good for. So, like I always did when I didn’t put enough time and effort into something I wanted to do, I whined until my parents bought me better equipment. 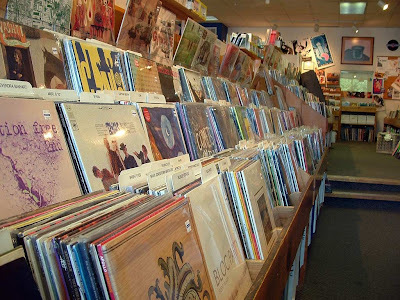 On a Saturday morning my dad took me to a place called Board Stiff. It was on Greenfield Avenue in West Allis, real close to the old Paradise Theater. The place smelled like heaven. Or grip tape and shoe rubber. That toxic but clean scent is something I’ll never forget. We looked around for five minutes and then I found my board. 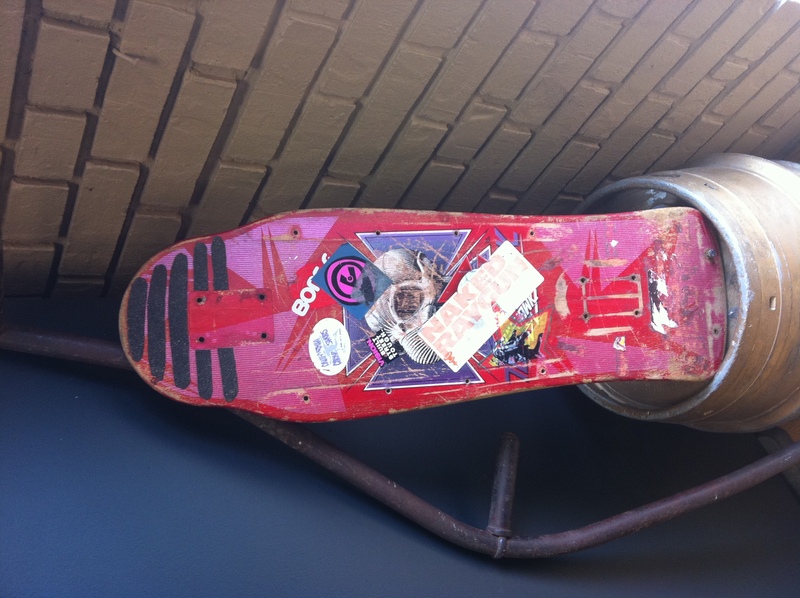 It was the first Tony Hawk deck, made by Powell Peralta. I had seen it in Thrasher and Transworld and knew I wanted it before we even got there. Back then skateboards came in sizes and my 9 year old frame, short and a tad round, definitely needed a mini and not the adult large that we ended up purchasing. My new deck was nearly as big as the Bone Crusher. But it was a Tony Hawk. And yep, I still couldn’t ollie on it. But just as this incident – I always – ALWAYS – had to have name brand merchandise. I would settle for nothing else. Air Jordans, Z Cavaricci, Guess, etc, etc, etc. Today it’s nothing new. Beer. Coffee. They may not spend as much on a marketing budget but if the brand has proliferated into my psyche or found a way into my thoughts – I’m going to try whatever the product is at least once. I’m a brand whore and I really don’t think it’s a bad thing. If products are marketed well and appeal to me – someone has done their job properly.